No Sleep! Tired Of Not Sleeping? How To Get Better Sleep Naturally. No Sleep! Tired Of Not Sleeping? No Sleep! You want sleep but you just can't sleep? Are you one of the millions of people not sleeping, but desperately need sleep? Find out how to get better sleep naturally. A deep restful sleep letting you wake up refreshed and renewed. Do you lay in bed completely exhausted from not sleeping and wonder why your brain doesn't shut up and your body won’t shut down, especially considering how awful tired you are? It doesn’t make any sense to you; you are frustrated and can’t understand what the heck is going on! You just want sleep! You need sleep so desperately bad..!! But you just can't fall asleep!! There were a few factors’ that came into play during my no sleep time, when my brain or body would not quiet down and allow me to fall asleep. I say stress because no sleep is quite unhealthy physically and mentally and it drains you emotionally causing you to stress about something you normally wouldn't stress about. And, I wanted to desperately fix this situation I was in, which caused more stress. My brain was working overtime and felt like it was going to explode. My brain was so wide awake and my body completely worn out, but yet, my body too would not shut down. I would toss and turn literally every few seconds. For a while I thought maybe I had RLS, Restless Leg Syndrome, but it would only happen at night when I was trying to sleep Through research I ruled this out. It was crazy!! Every 2 or 3 seconds I was tossing and turning. My body would get a very agitated feeling and felt like it had to move so it did a jillion times a night. It was so frustrating I would get pissed off; sit up and throw the covers off and get out of bed and find something to do. I was so tired I was like a zombie trying to accomplish something. All The While Saying To Myself, I Want Sleep, I Need Sleep..... Why Can’t I Sleep..!! When I was in the middle of this very long and stressful situation I did not sleep for many months on end and theses months turned into years; occasionally I would get maybe 2 to 3 hours of sleep every few nights. The longest period I went with no sleep was 9 days, I did get about 4 hours of sleep on the 5th day, but I don’t count it because it did not feel like I slept! I was in desperate need of sleep! During this time of not sleeping I was bouncing off walls, literally bouncing, I would walk down the hallway and bounce of the walls. My brain function was confused, cloudy and I could not focus on anything. Menially task that would normally take a few minutes would turn into hours. And, I was also in absolutely no condition to drive! I tried everything possible to sleep, but nothing helped. Sometimes and more than not, when I was trying to sleep when shutting my eyes I’d get flashing lights, eyelid flutters and sometimes my eyes just would not shut all the way, my brain was racing a jillion miles a minute! My brain would race from one thought to another and none of these thoughts had any bearing on anything! I almost felt like my sleep receptors and my brain were misfiring or shorting out. Almost as soon as my menopause began, my sleep deprivation began. From 2004, I began menopause early, to 2011 my sleep was pretty much non existent, especially in the earlier years of my menopause and I tried every thing I could think of from different sleep aids, natural herbal teas, to natural supplements like black co hash, chamomile, melatonin to the foods I ate, but not one of these things helped in letting me fall asleep. Still No Sleep..!! There was no such thing as a restful night sleep for me..!! My habits or lifestyle were helping to cause me not to sleep. As time went on, I tried eliminating things out of my everyday life that I could think of that could possibly be causing my not sleeping condition. Over the years, and yes years, with very little sleep, pretty much no sleep, it really took a toll on my mind, body and even my soul. It made me old mentally and physically, right down to affecting my skin and it messed with my emotions. Getting good deep sound sleep is actually part of the anti aging process. Sleep lets our body and mind rest, heal and rejuvenate! And I wanted sleep so bad..!! If you have done any research on sleep, then you know sleeping is essential to good health and well being. Through my research of what could be causing my can't sleep dilemma, I came across 2 things that made a little difference in how I slept. They were my favorite drink and my computer time. My favorite drink is Diet Green Tea and I was drinking it all day and night right up until bed. I did not realize that the caffeine in this tea was enough to help keep me from sleeping, as I had eventually found out. How I found this is out was through research in trying to understand why I was not sleeping. I decided to stop drinking my tea by 2pm to see what would happen and this made a bit of a difference into my no sleep problem, but not nearly enough as I still needed better sleep. The other thing I changed was my computer time. I work from home and spend many hours on the computer and most of them right up until bed. So I decided to see how my sleep would be if I stopped working on my computer a couple hours before going to bed, well, I have to say, this also made a bit of a difference, but not enough. I still was not getting a restful night sleep. Changing both of these habits let me get some sleep, but I would still wake up every couple hours and have a hard time going back to sleep; all awhile waking up not feeling rested. I wanted better sleep. A Good Deep Restful Night Sleep I Was So Desperate For! I was so tired of not sleeping, tired of being tired, I wanted better sleep, sound sleep and restful sleep; I wanted to wake up refreshed and renewed and feel like I had slept. How I Finally Got The Restful Sleep I Was In Dire Need Of...And Completely Naturally! I continued my research this time into enzymes and found that there are actually enzymes that our bodies produce that help us sleep and as we age these enzymes like all other enzymes begin to deplete. This is when I found out about GABA gamma-Aminobutyric acid, the chief inhibitory neurotransmitter in the mammalian central nervous system, it is not an amino acid. GABA Helps Both Your Mind And Body To Rest. 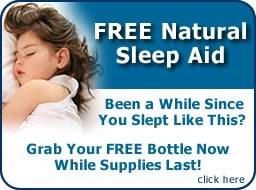 I started taking this all natural Sleepzyme with GABA with 9 other all natural sleeping aids. I was utterly surprised when I tried it for the first time and I fell asleep quickly and stayed asleep all night. I sleep like a baby now! People who do get to sleep can’t understand how not sleeping affects you and the toll it takes on your whole well being and the frustration you are dealing with. Try some of these sleeping suggestion that helped me and see if they help you get that deep restful night sleep you are longing for. No sleep is a far cry from the anti aging process! It actually ages you from the inside to the outside, not healthy at all! Get a deep restful night sleep, start replacing your sleep enzymes naturally click the banner to get on your way to sleeping better, soundly and like a baby!